On October 31, 2010, it’s my right hip’s one year anniversary. That hip (anterior) is doing well. My left hip (posterior) is a reminder that I am doing too much …moving too fast <ouch> , not taking enough self-care <ughh>, and forgetting I am seemingly always in recovery of some kind <ah>….it’s my thermometer of sorts . My hips know before I even have a clue…. See, I feel as if going through this experience (twice), and at a young age has made me stronger (facing many fears – some kicking and screaming and crying, of course), and also made me want to help others who are facing a hip replacement or are recovering and looking for support. I believe we are a CLUB, and we need to support each other. That’s also why I created a yahoo email group AND Hip Happy Hours! So – hello there fellow HIPSTERS and welcome to The Hipster Club! We’ve been initiated, we’re bionic…and we set off ALARMS (at the airport)!!!! Previous Post SHARE your stories! Congratulations on your one year anniversary of your hip surgery. 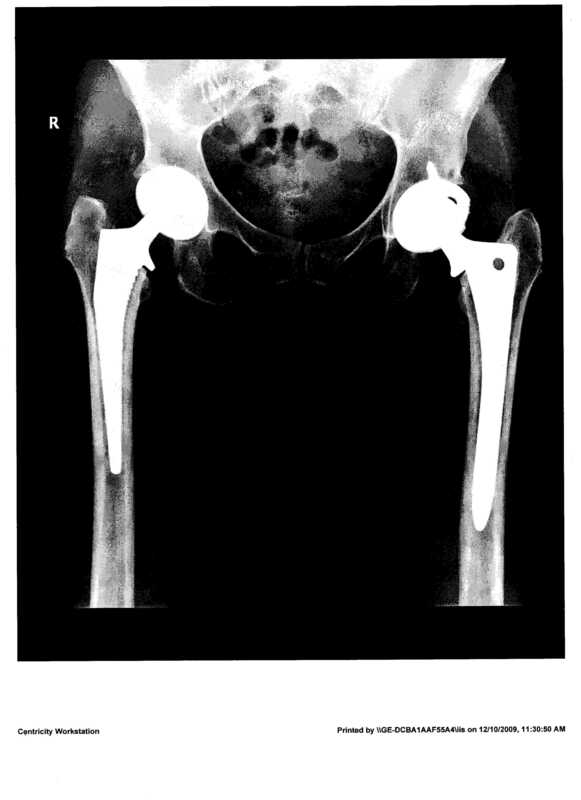 I learned that the patients are not allowed to cross their legs within one and half month of hip replacement surgery as this can lead to hip dislocation. Whether you are sitting on a chair or standing or reclining on a bed, never cross your legs at least during the vital six weeks after total hip replacement. FYI – This is not so with anterior procedure….